(Office of Her Majesty – Press Department- New York) – Her Majesty Queen Rania Al Abdullah met today with Irina Bokova, Director General of UNESCO to discuss UNESCO’s new global partnership for girls’ and women’s education; “Better Life, Better Future”, which addresses secondary education and adult literacy. Yesterday, Her Majesty attended the “Every Woman, Every Child” reception hosted by the MDG Health Alliance. Launched by UN Secretary-General Ban Ki-moon during the United Nations Millennium Development Goals Summit in September 2010, Every Woman Every Child aims to save the lives of 16 million women and children by 2015. 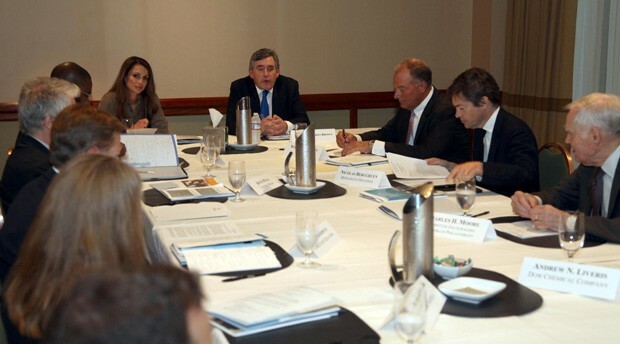 Queen Rania also attended a meeting called for by the Gordon Brown and Brookings Institution, for “A Global Business Coalition for Education”. The meeting of interested CEOs aims to make the case for a Global Coalition for Education and to discuss how it should function. The Global Business Coalition for Education will be based on the successful model created by the Global Business Coalition for Health (GBC Health). Launched in 2001, this business coalition has grown from 17 to nearly 200 corporate members.